Portinatx is a nice locality just 28 kilometers away from Ibiza town (Eivissa), and only a few kilometers away from Sant Joan de Labritja. It is a popular destination among tourists during the summer months, but it remains almost desert-like in winter. In this area you will find three sand beaches, among which you will have to choose which is the best one for you to spend your sunny day. The longest of these three is S'Arenal Gros, with 125 meters long and 55 meters wide. It is located around 6 kilometers away from San Joan, and you can get there by car, public bus or even by bicycle. It is a fine sand beach with rocks and it has a lot of services to offer the visitor, like restaurants and hotels. It is located on the north of the island in a place of special interest. S'Arenal Petit is located between S'Arenal Gros and the Punta de sa Torre. You can reach this beach by walking through the coast walk that links it with S'Arenal Gros or directly by car which you will be able to park for free on the surroundings. There is also a public bus that stops in a distance of one kilometer from the beach. Its gentle slope and sandy bottom makes this place perfect for families with small children, as well as for practicing skin diving. These characteristics makes S'Arenal Petit a place that can be very crowded in Summer due to the huge number of families that want to spend their holidays there. The third beach of the Portinatx area is Playa Porto with 40 meters long and 35 meters wide. 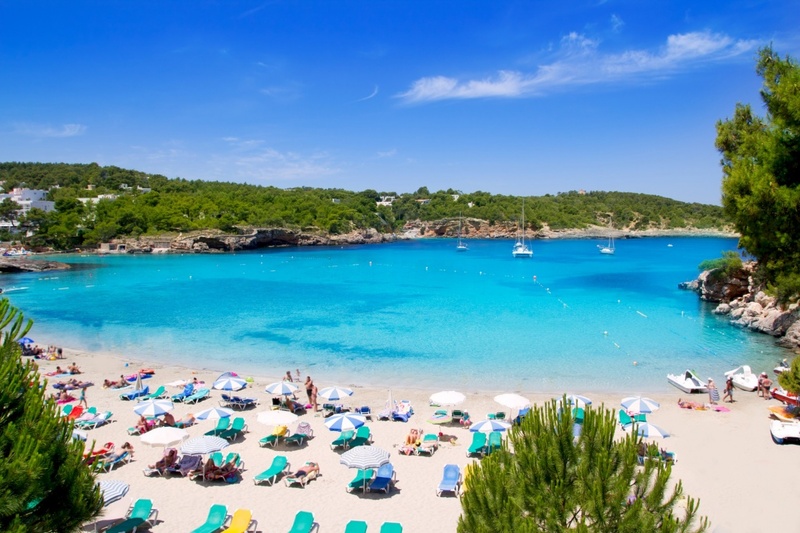 Playa Porto is a small fishing port surrounded by pine forests and located at the end of the main road. Portinatx area is an excellent place that offers a lot of entertainment options. The external zone, for example, is a perfect place to practice sailing sports. You can also visit in the area de old Portinatx Tour (Torre de Portinatx). Find information about selected Hotels, apartments and rooms in Portinatx to choose the perfect place for your accommodation.